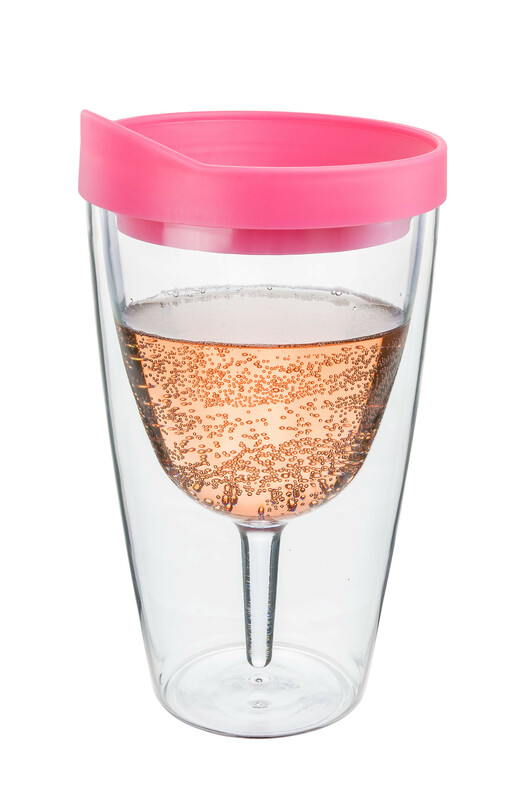 Be ready for all your special occasions (even the wild ones) with your 16oz Double Wall Insulated Acrylic Wine Tumbler from Southern Homewares! We make it easy to enjoy your favorite drinks, anywhere! Encased inside the clear acrylic outer shell, you can see the shape of the wine glass within. Super cute, and functional! Add a lid that keeps everything in the right place, and you’ve got a recipe for a great time! Order yours today, and enjoy your drinks, wherever! Order yours today! – With all these functional and fun features, it also makes a pretty darn great Gag Gift or White Elephant too! Double wall insulated. Pink lid. Dishwasher safe. 16oz capacity.